The son of Josh and Nicole Biretz stopped in to the meet-and-greet with his father on the way to preschool. 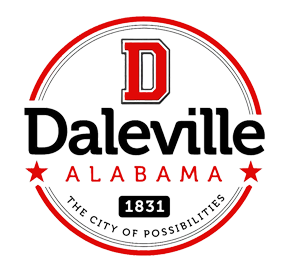 Daleville residents were invited to have “Coffee with a Cop,” at Mafoosky’s Deli Monday, Nov. 6 Daleville’s Coffee with a Cop. Daleville’s Robbin Hibbs initiated the event based on a similar program in her former hometown. Daleville Mayor Jayme Stayton, left, welcomes Frank Tomaino to the coffee and doughnuts meet-and-greet that began at 7 a.m.